Our commercial pest control services includes offices, warehouses, car parks, factories, industrial units, building sites, schools, care homes, hospitals, shopping centres, restaurants, supermarkets and museums. We are fully insured and qualified and details of all our policies are available on request. We are able to provide a fast an efficient service to businesses within London and Hertfordshire and we can also carry out routine preventative measures. One of our most common routine tasks is pro-active rodent prevention, especially where there is risk of contamination with food or water supplies. We are also able to provide preventative solutions for other pests which can be especially important in areas where the risk of disease spread by pests can have the most severe consequences such as in care homes and hospitals. Pests can also quickly result in the loss of business and this is especially noticeable with catering firms, restaurants, hotels, pubs and other businesses within the hospitality sector. 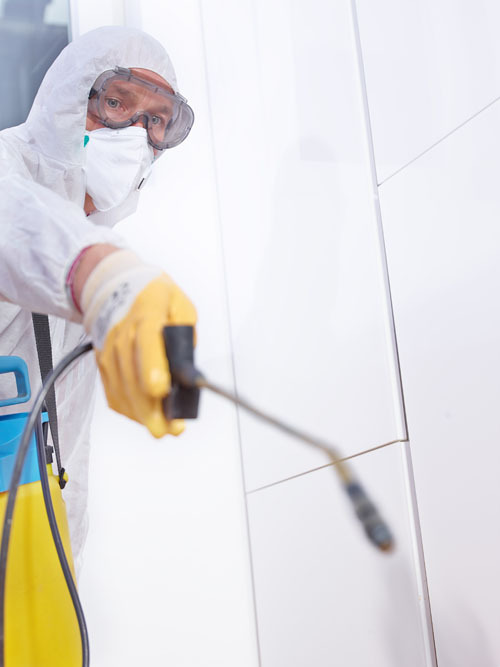 We'd highly recommend our preventative measures to any of these types of business or commercial operation to avoid the loss of business that an infestation might cause. We can provide a free quote to any business or organisation and our rates are extremely competitive. We can provide an assessment of the potential risks to your premises and staff and suggest a preventative plan to keep the pests away and allow your operations to run without interruption. We also provide a 24 / 7 emergency call out service to deal with any urgent pest problems. Our technicians are all fully trained and will advice you with expert their knowledge and answer any questions you may have about the treatment options available. So whether you're right in the city centre or tucked away in rural Hertfordshire, give us a call and find out how we can help you.